The mission of the Carroll County Historical Society is to preserve the history of Carroll County for the benefit, education, and enjoyment of present citizens and future generations. The main museum is located in the former Carnegie Library Building at the corner of the Lincoln Highway (Highway 30) and Court Street, and other displays are maintained in the Schoolhouse and the Log Cabin in Graham Park, and the Farmstead Museum at Swan Lake State Park. 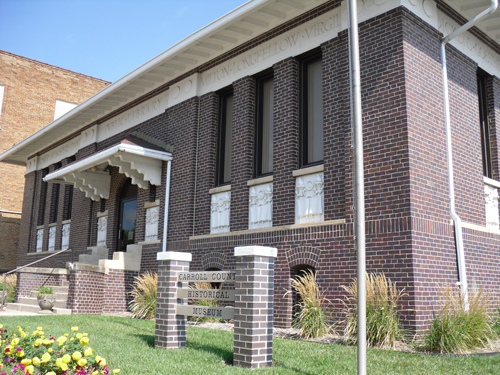 Please call the museum at (712) 792-1582 for the summer schedule, or call (712) 792-1512 to set up an appointment.